Lee has been serving the dairy industry for 35 years. He has held Extension positions in agriculture and dairy economics with the University of Minnesota and University of Wisconsin Extension Services, and sales roles with Monsanto Dairy and Pfizer/Zoetis in the western US. Lee has served dairy producers from the public and private sectors, giving him a unique perspective in utilizing innovation and collaboration to bring value to the industry. Roxanne has been a lifetime supporter of the dairy and agriculture industry. She was raised on an Iowa dairy farm and has many family members in the industry. Her skills include customer service, data management, policy development, and human resource management. She is proficient in guiding day-to-day operations. Robin has brought value to the ag community for 35 years as a dairy producer, broker, and market analyst. His business, AgDairy LLC, provides full-service commodity brokerage for grains and dairy, as well as trading in all commodities. Robin adds additional value to the industry as a Dairy Analyst with Telvent DTN, Agri-View, the London-based Dairy Industry Newsletter, and AgWeb radio. 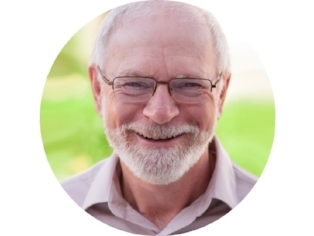 Walt has been an agribusiness advisor for over 30 years helping businesses of all sizes develop their people and execute their business plans. From consulting and coaching to enhancing engagement and development, Walt has developed and delivered people solutions to address business challenges. Walt has worked with Pfizer/Zoetis and currently leads Ogburn Solutions. David has been in the web development community for over 20 years, applying his unique skillset across many technical disciplines, such as ecommerce, web and mobile app development, server architecture, and content management. Leveraging his technical background, he has worked with a wide range of industries, from advertising and entertainment, to healthcare, education, and the financial sector. Bob is a Senior Consultant with Dairy Strategies, LLC – a business, leadership, and human resource consulting business focused on the ag sector. Bob focuses on the management of farms and small businesses, with an emphasis on human resource management and leadership development. Formerly he was a professor and associate chair of the Department of Applied Economics and Management at Cornell University.